RARE CrossFit is Building a Fit Community in Fredericksburg through the RARE Experience! Come Join Us! The RARE Experience is a FREE 45-minute workout to help people on the road to a healthier self. Established in 2008, RARE CrossFit is a community bound by the daily pursuit of excellence. We have been recognized by our members for providing a safe, effective, high-intensity training experience, in a supportive community environment, through our expert programming and experienced coaching staff. Unlike other CrossFit affiliates, we don’t focus on games athletes, and we are not in the habit of ripping our shirts off to impress others. We focus on your individual goals and needs through our expert coaching, nutrition, and accountability. Our vision is to generate healthy lifestyles, especially in those who consider themselves the least healthy or fit, or the most anti-gym. Every individual has the athlete inside them, it is our job to bring the athlete out and make them succeed. 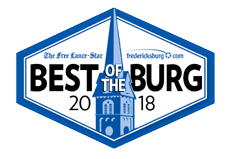 To make Fredericksburg the Fittest and Healthiest City in America. Dedicated, Humble, Team Players, Hard Workers, High Level of Empathy, Committed to Excellence. Our Fitness Boot Camp in Fredericksburg takes the very best parts of camaraderie and mental empowerment and applies them to a P.T. (that’s Physical Training for you civilians) program that is proven to exceed expectations. Our culture teaches not only the physical aspects of training, but it empowers you to be your best. Join us at RARE CrossFit for a dynamic workout like you've never seen before. We're helping men and women across Fredericksburg build strength, burn fat, and have fun every step of the way. Get started today! If you are sick of tedious and boring workouts, and are looking for something exciting, challenging, and fulfilling, then CrossFit in Fredericksburg is for you! At Rare CrossFit, we are a tight-knit community of like-minded individuals who love fitness.